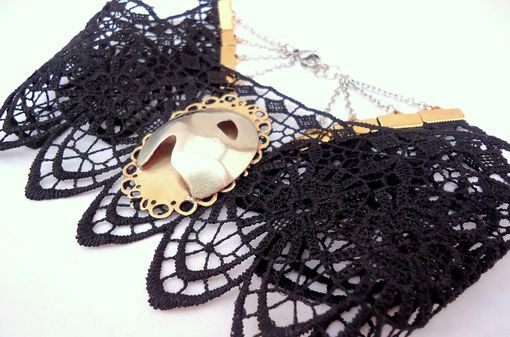 This piece is steampunk style at its finest! 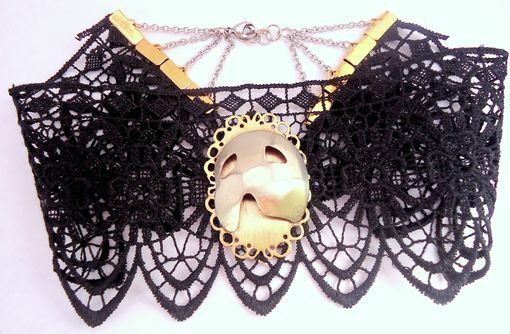 For this project, the client wanted a cameo choker to represent her love for Phantom of the Opera as well as steampunk. 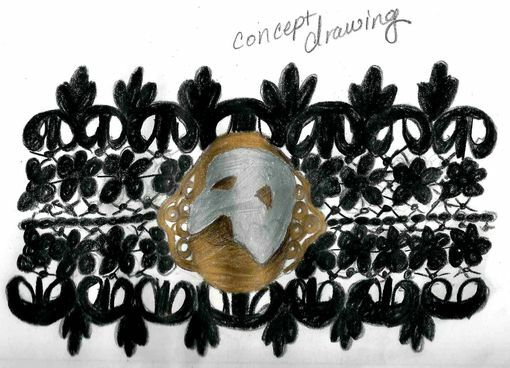 She knew she wanted lace and a cameo featuring the Phantom's mask based on her tattoo. I suggested to make the mask 3D. 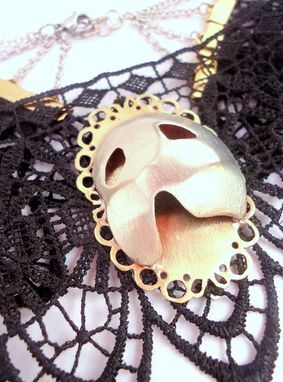 The mask is made from nickel, and the filigree oval is made from brass. I hand cut the mask and filigree. 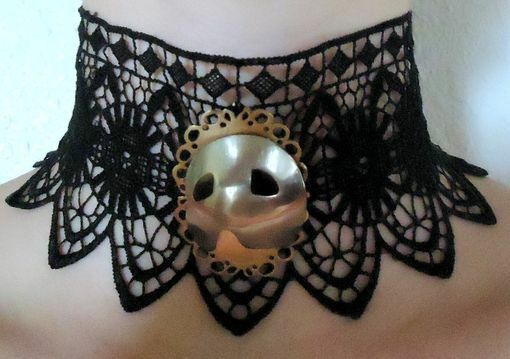 The final choker measures 9.5 to 11 inches.